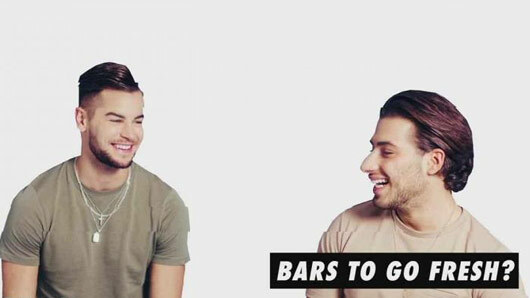 Love Island BFF’s Chris Hughes and Kem Cetinay have shot to the top of the charts after releasing their debut single ‘Little Bit Leave It’. The duo finally released their highly anticipated rap track on Monday 2 October, following the broadcast of their brand new TV show: Chris & Kem Straight Outta Love Island. The reality TV duo announced that they were releasing their debut single on Monday 2 October. Sharing the news on Twitter, the pair said: “Oi, we can’t believe this is happening, it’s happening now Little Bit Leave It. The song was released on iTunes, where it shot to the number one spot within a matter of hours. Amber Davies sung her boyfriend’s praises on Twitter, gushing: “Going to sleep on cloud nine absolutely beaming with pride”. Kem later wrote: “Number #1 in 3 hours HOW HAS THIS HAPPENED! best moment in my life ever!! Support has been crazy”. Chris & Kem Straight Outta Love Island is available to watch on The ITV Hub. « When is Made In Chelsea back on screens? Return date revealed!